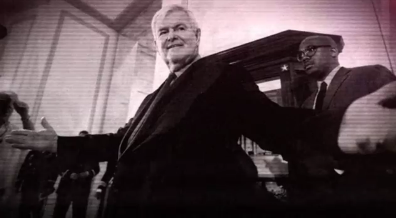 The Humble Libertarian: Breaking: Newt Gingrich to Drop Out of Race! Newt Gingrich plans to formally leave the Republican presidential race next Tuesday, senior campaign aides told Fox News, after struggling for months to turn around his sagging bid for the White House. The former House speaker will "more than likely" endorse Mitt Romney when he makes his announcement to either suspend or end the campaign, a source said. The decision comes after Gingrich huddled with senior advisers following the five primaries Romney swept on Tuesday night. Romney's victories made it virtually impossible for Gingrich to secure the 1,144 delegates needed for the Republican nomination. Gingrich's exit is a stark turnaround from his public posture just a few months back, when in December he confidently declared following his rise in national polls that he's "going to be the nominee." His campaign then flagged until his blockbuster victory in the South Carolina primary in late January -- Gingrich failed to follow that up with any victories save for a win in his home state of Georgia, as Romney marched steadily toward the nomination. Now there will only be two candidates left in the race, Mitt Romney and Ron Paul. Republicans, you have a clear choice. The two remaining candidates could not more perfectly exemplify the two paths you could take: more of the same old kind of lying, establishment politician who will say or do anything for your vote, or a statesman of principle and integrity; a candidate endorsed by Wall Street just like Obama, who will continue Obama's demolition job of America's greatness, or an American just like you, endorsed by grassroots conservatives, and ready to fight for your freedom and this country's greatness. Tyranny or liberty, establishment or Tea Party, Wall Street or Main Street, country club Republican or grassroots Republican, mandates or freedom, lies or truth, flip flops or consistency, opportunism or principle, Etch a Sketch or quill and parchment, trillions more in debt or balanced budgets, big government or individual liberty, Mitt Romney or RONALD ERNEST PAUL! PRESIDENT PAUL! PRESIDENT PAUL! PRESIDENT PAUL! PRESIDENT PAUL! PRESIDENT PAUL! PRESIDENT PAUL!